Two students who work with Southern Illinois University Carbondale’s Paul Simon Public Policy Institute are receiving the Mike Lawrence Scholarship and the Institute’s Directors Award. Joshua McCray, a junior who is double majoring in political science and history from St. Charles, Illinois, received the Mike Lawrence Scholarship. 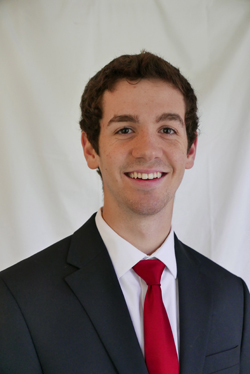 Joe Locher, a senior, who is also a double major in political science and German from Springfield, Illinois, received the 2018 Director’s Award. 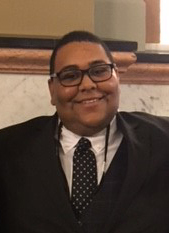 McCray became involved with the institute after his selection for the 2018 Alexander Lane Internship that he served during the Illinois General Assembly’s spring 2018 legislative session. The award honors Lawrence, who retired as institute director in November 2008. The veteran newsman, press secretary and political analyst joined the Institute in 1997 as associate director. He became director in 2004 following the death of founder and former U.S. Sen. Paul Simon, D-Illinois. Recipients are outstanding students who are involved in institute programs, initiatives and other volunteer opportunities, and who have demonstrated positive leadership qualities. There is a preference that recipients are African-American. Locher is president of the Institute’s Ambassador registered student organization and has worked at the institute as a student employee since January 2018. He spent summer 2017 as an intern in the Illinois lieutenant governor’s office. He will graduate from SIU Carbondale in May. David Yepsen, the institute’s former director who retired in October 2016, originated the Director’s Award. Yepsen joined the institute in 2009 after a 34-year career as a political writer, editor and columnist for the Des Moines Register. In 2016, through the generosity of private donors Herb and Carolyn Donow, an endowment was established to continue the award and honor Yepsen. Contributions to the Mike Lawrence Scholarship and David Yepsen Director’s Award can be made online at www.paulsimoninstitute.org, or by sending a check to the Institute at 1231 Lincoln Drive, Mail Code 4429, Southern Illinois University Carbondale, Carbondale, Illinois, 62901. The awards honor former Institute directors Mike Lawrence and David Yepsen. Contributions can be made online at www.paulsimoninstitute.org, or by sending a check to the Institute at 1231 Lincoln Drive, Mail Code 4429, Southern Illinois University Carbondale, Carbondale, Illinois, 62901.